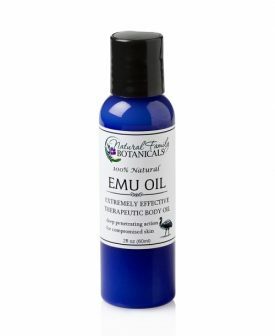 Emu oil is a powerful therapeutic body oil that is 100% natural and safe for everyday use. 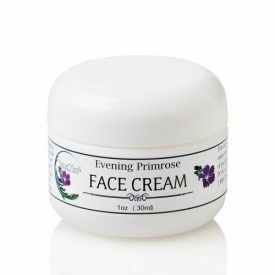 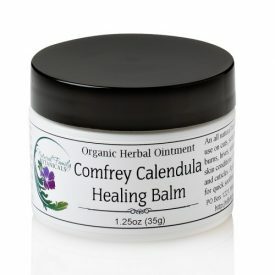 It is emollient rich, very moisturizing and has many skin healing benefits that will soothe and restore some of the most painful and troublesome skin conditions. 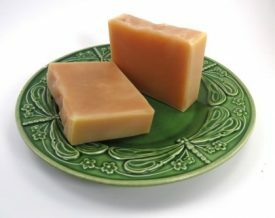 Emu oil is very high in oleic acid, which increases its ability to carry compounds through the skin and it will not clog the pores. 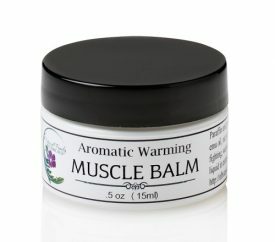 Several U.S. patents have been granted that document a vast amount of impressive life enhancing abilities from using emu oil. 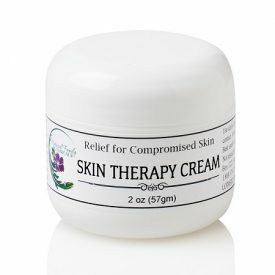 Some of these patents confirm emu oils ability to reduce inflammation, stop itchiness, stimulate hair growth, treatment eczema, reduce scaring, repell insects, and much more! 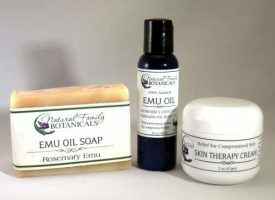 Click Here for ways to use and more fascinating facts on the wonders of emu oil!